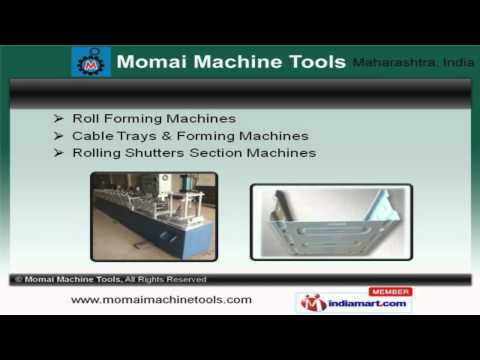 Welcome to Momai Machine Tools, Manufacturer and Exporter of Industrial Products. The company was established in 2007 at Mumbai. Dexterous and dedicated professionals make us different from others. Client centric organization, Easy payment mode and Market leading prices are the plus points of our organization. We offer a wide array of Din Rail Channel, False Ceilings Machines and Sections. Our Cable Trays and Forming Machines are best in the industry amongst others. We offer Under Crank Shearing and Solar Panel Mounting Machines that are superior in performance. Power Press Machines and Rolling Shutter Sections offered by us are acknowledged for their functionality. Along with that we offer Power and Solar Panels that are available at industry leading prices. We also provide Forming Machines that are reckoned all over the world for their superb quality.